Stop wherever you are and take a look around you. How many people are looking at their phones? Nowadays, it’s hardly a surprise to see the majority of people with their heads down. But what is surprising is that in less than 10 years, phones have transformed into something nearly 50% of us couldn’t live without. Q: How many times do you think the average person touches their phone every day? A: 2,600. That’s around 160 times every waking hour. And here’s the kicker: Phones are actually making us less happy (but you probably knew that already). In Part 1 of our Digital Detox series, we explored the psychological reasons that phones have become such an integral part of our day-to-day lives. The TL;DR? 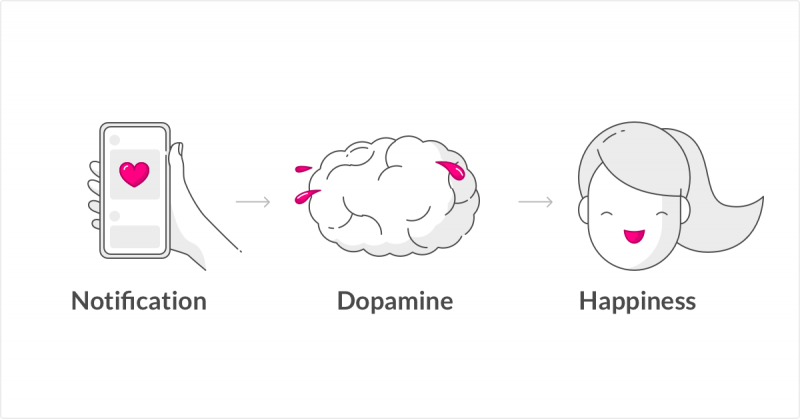 Checking our phones has become a habit ingrained in our brains, thanks to our need for social connection and a little molecule called dopamine. While spending a healthy amount of time on your phone can help you stay connected and informed, picking up your phone constantly can stifle productivity, mindfulness, and even your relationships with others (more on that later). So we’re doomed, right? Not exactly. Now that we understand the psychological reason we’re addicted, we can more easily find a solution. All it takes is a bit of hacking (and knowledge of psyc) to create some distance from our phones, and take back control of our actions. Here’s how. So, what’s the ‘cue’ that usually causes you to pick up your phone? The mere presence of it. When you see your phone, your brain starts to crave that dopamine reward, and sends a signal to your body to pick it up. Alternatively, when your brain doesn’t sense the presence of your phone, your dopamine craving won’t kick in. To create a healthier relationship with your phone, find a spot where you can’t see – or feel – your phone. (No, not in your pocket.) Place it in your work bag while at work, your living room while in your bedroom, or your bag while out to dinner with friends. You’ll see instant results. Bonus? You’ll even conserve energy by removing your phone from the vicinity. Why? Because when your phone’s in view, your brain expends willpower to avoid giving into your craving. Willpower is a limited resource – the more you use it, the less willpower (and energy) you’ll have later on. Okay, being realistic here – it’s not practical to assume you’ll be able to have your phone out of sight all the time. Bring on the (sometimes justified) excuses: my boss might need me, my mom might call, my best friend might need a restaurant recommendation. Luckily, if you’re in the presence of your phone, there’s another way to reduce the craving to pick it up. Let’s return to the fact that specific ‘cues’ trigger habits. Aside from the mere presence of your phone, another common trigger is receiving notifications. When we hear a ‘ping,’ or see that red circle, it sends us a signal that we’re about to receive something socially satisfying. Cue that insatiable urge to pick it up. In fact, new research has found that every time we get a notification on our phone, our brain releases dopamine. The trick here is to rid yourself of this temptation altogether: Turn off your notifications. Don’t let your phone lure you every time a news site sends you an alert, or someone likes your Instagram photo. By turning off notifications, you’ll take control of when you want to pick up your phone, and when you don’t. The best part of this hack? It reminds you that almost no notifications are actually urgent – the desire to check your phone is the dopamine talking. That, in itself, will also help create space from your phone. If this sounds anxiety-provoking, leave your call notifications on. Baby steps. If you’d like to go full throttle, Airplane mode is where it’s at. Just saying. Now that we’ve tackled the triggers that prompt our phone usage, let’s discuss another component of our phone habit: the reward. What reward do our phones deliver, exactly? Recent research found that the most addictive smartphone functions all tap into our desire to connect with others. 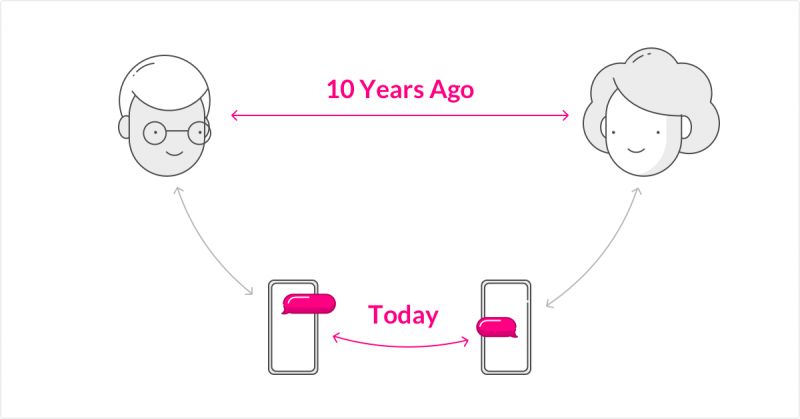 So when we pick up our phones, we’re seeking out that reward of social connectivity. Ironically, though, our phones have actually made us less social. In a 2016 article Is Staying In The New Going Out?, Molly Young of The New York Times chronicled that we have fewer reasons to leave our homes and interact with others, because so much of what we want to do is available entirely on demand. Further, Jean Twenge showed in her groundbreaking book iGen that people are spending less time in-person with their friends, going on fewer dates, and even getting their driver’s license later, all thanks to the emergence of phones. These factors, coupled with the much-studied fact that the presence of phones in social situations decreases our feeling of connectedness, has created an inevitable outcome: In the age of communication saturation, we feel lonelier and less socially connected than ever before. But the thing is, if we spent more time out with friends, put our phones away during meaningful conversations, and even try FaceTiming instead of texting, we’d likely feel a less intense craving for connection. So, to reduce the temptation to constantly pick up your phone, put an extra effort towards fostering more meaningful relationships with the people you care about. Try asking your besties deep questions – things that you wouldn’t normally chat about when you have the distraction of your phone lurking in the background. Once you engage on a more meaningful level, you’ll feel less of a need to seek out social connection from your phone, and consequently, less attached. 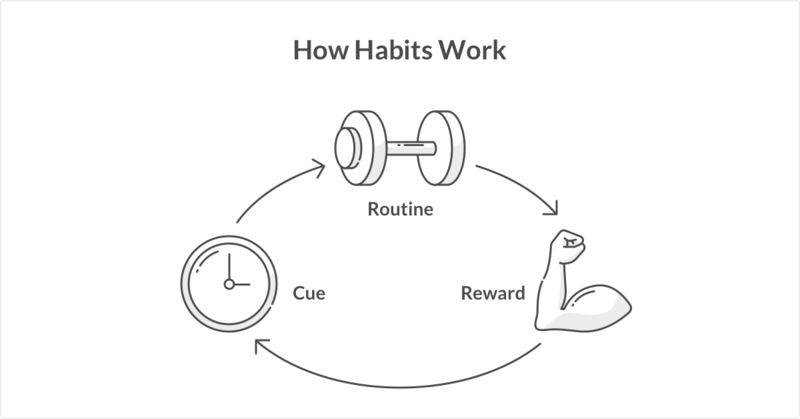 The final component to all habits is the routine, or the habit itself. The more your habit happens, the more it becomes etched into your neural pathways. So one of the keys to breaking it is creating habit-free zones. As a rule, when you’re in this zone, you cannot perform your habit. But since it may be unrealistic to rule out an entire space for phone usage (ex. ‘I’ll never use my phone in my bedroom’), we propose ruling out a time in your day, or a combination of both. The first half an hour of your day are arguably the most important: they set the tone for your morning and the rest of your day. So the last thing you want to do is frame your first few moments around hits of dopamine and social connectivity. Instead, put an alarm on your bedside table where you usually place your phone, and unplug your bedside charger. Now, after you rise and shine, you won’t be tempted to check your notifications in your first few moments, and this effect will likely last throughout your day. Another solution is to make particular times during your day no-phone zones. We suggest digitally detoxing between the hours of 9-11 am. Why? 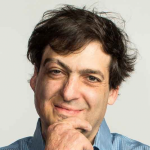 According to productivity tips from our Chief Behavioral Officer Dan Ariely, these are the best hours of our day to get stuff done. So right when you get to work, put your phone in your bag (or somewhere else out of sight), and get busy focusing. This may just be your new favorite productivity hack, in addition to an effective new way to unplug from your phone. All of these hacks are great and all, but the truth of the matter is that humans have an innate bias towards keeping things the same. It’s hard to muster up serious motivation to make a change without a concrete reason and goal. Before you begin tackling your phone habit, figure out exactly how much time you spend on your phone, and how much you’d like to reduce that by. Keep in mind that most things don’t work when you implement drastic cuts. Over the course of a few months, you could cut down the amount of time you and your screen spend together by just 10%, and still make huge leaps in reclaiming your connectivity. So (ironically) download a phone-tracking app, such as Moment or Checky, to get a pulse on how much time you spend on your phone, which apps you’re using the most, and how many different times you pick your phone up. 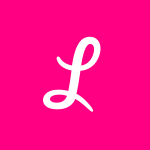 This will not only help you clearly measure your progress, but may just give you that push you need to begin creating a healthier relationship with your phone (and those around you). Why? You may realize you use your phone way more than you think. For an even more effective start to your phone cleanse, grab a friend, and get in on it together. Studies show that making public commitments increases your chance of reaching your goals. Tell your bestie how much time you plan to start using your phone each day, and have them do the same. Soon enough, you’ll be well on your way to reaching your goals of spending less time on your phone. And that’s a wrap. If you follow these five science-backed steps, you’ll be well on your way to creating a healthier relationship with your phone. In the meantime, be sure to check out Part 1 to get the full scoop on the psychology behind why we can’t stop looking at our phones. Awareness is the first step to creating that space, so you can open up your time, and your mind, to your present experiences. There’s no doubt that phones have become an integral part of our daily lives. Here’s why 50% of us would rather have a broken bone than a broken phone.